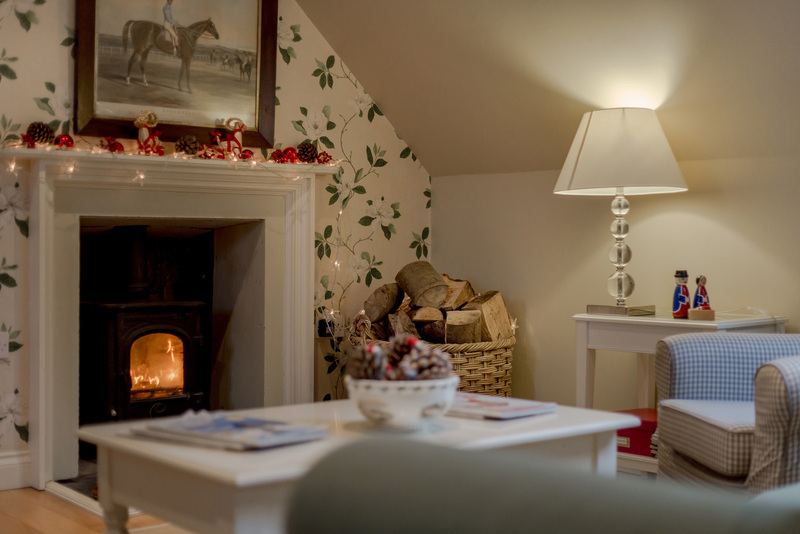 If you are looking for a cosy bolthole in south-west Scotland for Christmas or New Year look no further. 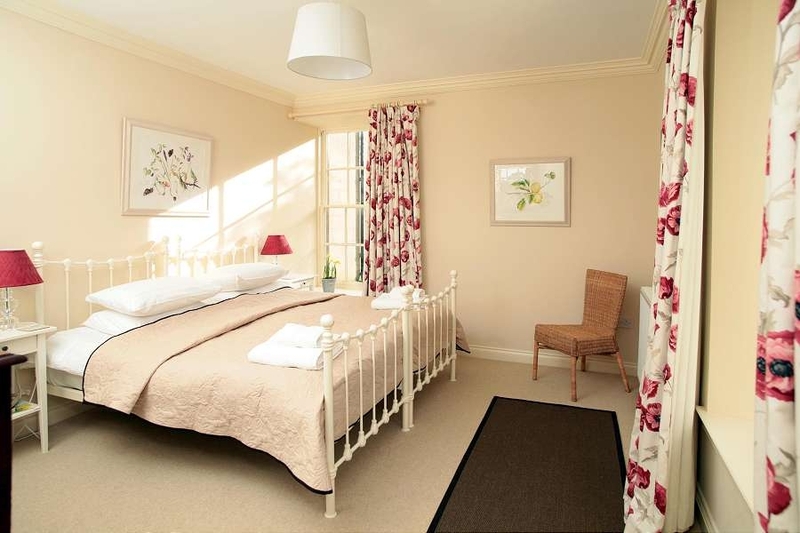 We have five 4-star holiday cottages all within walking distance of the sea. 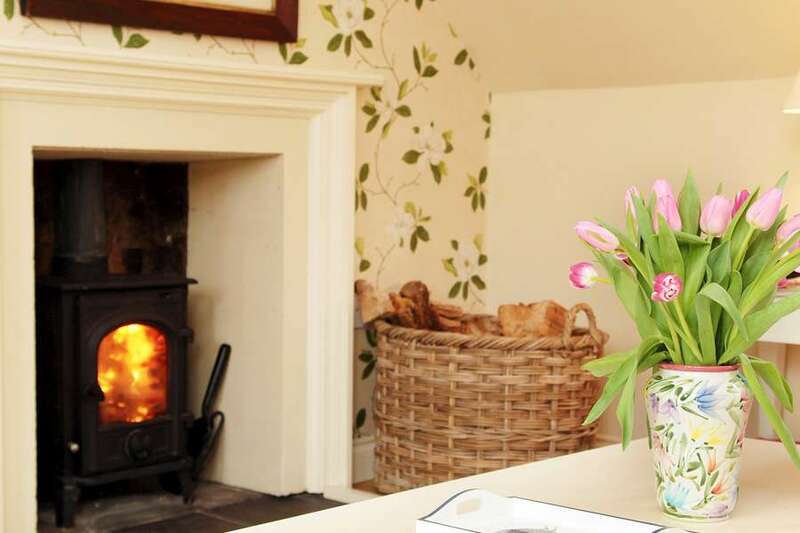 Three cottages – High Clachan Farmhouse (sleeps 8), Home Farm Cottage (sleeps 5) and Stables Cottage (sleeps 4) have log burning stoves and two – Garden Cottage (sleeps 6) and Cedar Lodge in Portpatrick (sleeps 8) have beautiful sea views. 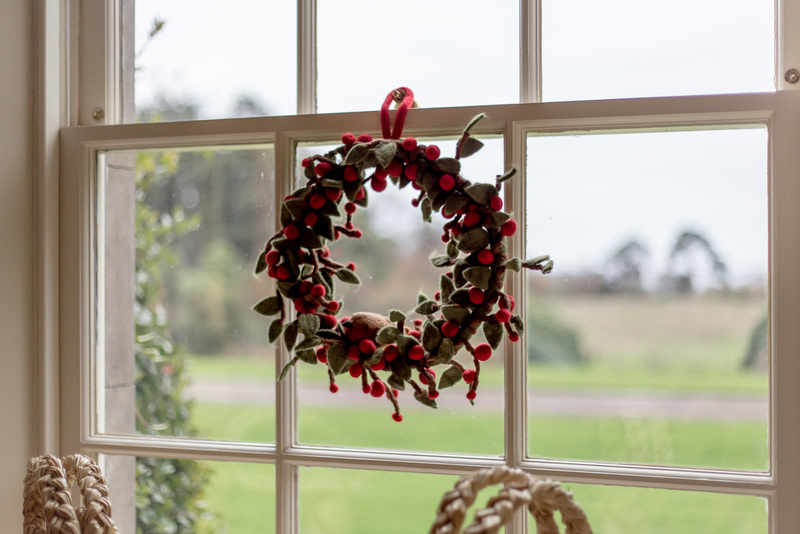 All our luxury holiday cottages in Dumfries and Galloway come dressed for Christmas – with a festively decorated Christmas tree, fresh ivy decorations above the fireplaces and a proper wreath on the front door. 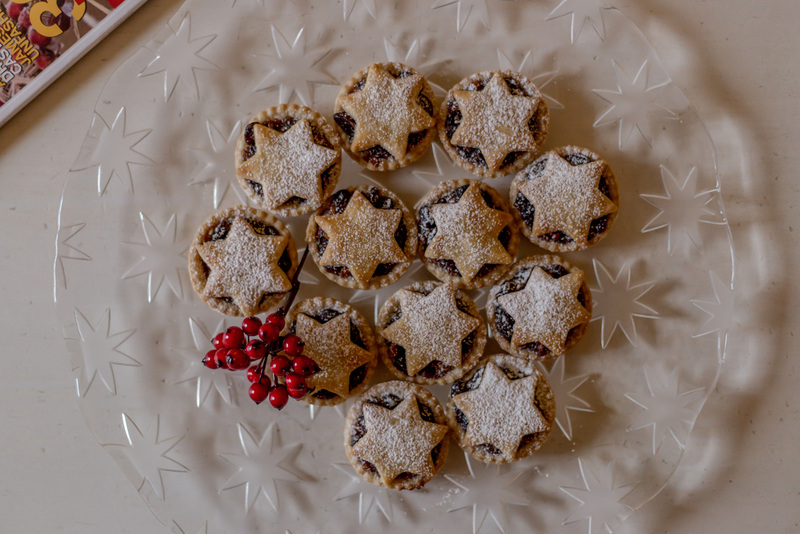 There will also be home-made mince pies to greet you on arrival, as well as our delicious Corsewall brownies. Suspecting your car will be packed to the gunwales with suitcases and presents and space will be at a premium, we thought it would be useful if we put together a list of local shops and suppliers in Galloway so you can either order in advance or perhaps up pick things en route to help your Scottish Christmas and New Year go with a bang! For decent fresh fish with everything from salmon and shellfish to scallops, order from Ferry Fish who will deliver to your cottage door just before Christmas (usually on 23rd December or Christmas Eve). They also do excellent turkeys for the Christmas roast, which are locally sourced from a farm in neighbouring Ayrshire. How about treating your house party to some award-winning Loch Ryan Oysters – as we’re located right on the shores of Loch Ryan itself, you can’t get more local than that! Alternatively, if you are travelling to us along the A75, it’s definitely worth stopping at Marrbury Smokehouse & Bistro at Carsluith Castle, which is just beside the road. If we’re passing, we often stock up on their excellent wild Cree smoked salmon and smoked Kirkcudbright scallops. Peppered smoked duck is another delicacy you can buy here. A mile or so down the road at Carsluith just off the A75, you’ll find the Galloway Smokehouse, which is another excellent supplier of smoked Scottish salmon (as opposed to Scottish smoked salmon – but that’s another story!). They do a wide choice of smoked fish and meats, venison, steak and chicken pies and hampers. They have recently opened a restaurant – the Galloway Fisherman – specialising in local fish dishes, which has lovely views over Wigtown Bay. For meat, our favourite butcher in Stranraer is W M Frasers on Hanover Street – which has a wide range of fresh and cooked meats and where you can order in an excellent ham or turkey or steak pie. The Fruit Bazaar on St Andrew’s Street in Stranraer is a good independent fruit and vegetable shop. If you are organised and would like to do an online shop and have it delivered to your cottage, Asda, deliver to the area and Tesco provides a ‘click and collect’ service, enabling you to shop online and have it delivered to Stranraer, which can take the stress out of doing battle with the Christmas and New Year crowds. There are a few farm shops where you could pick up some Christmas treats en route. 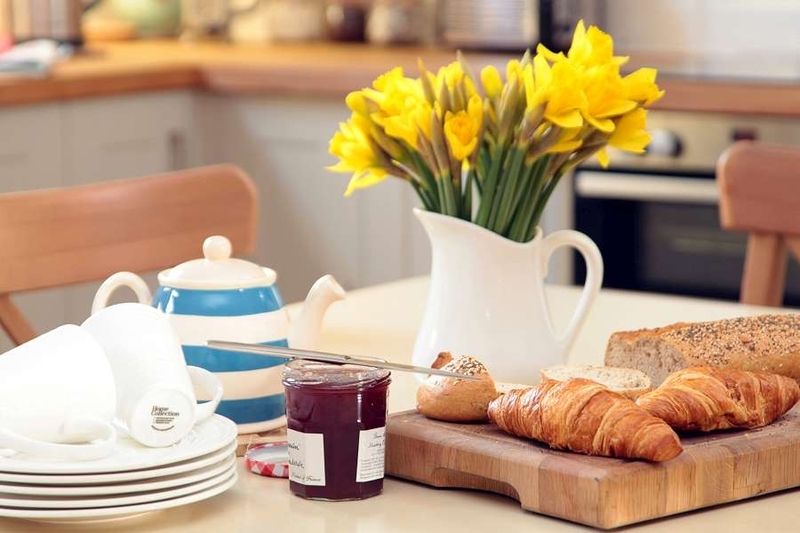 If you are coming from England, we would highly recommend stopping at Tebay Services on the M6, just south of Penrith, which is just under three hours’ drive from Corsewall Estate Holiday Cottages. It is the only independent motorway service station on the M6 and the only one to have a duck pond complete with ducks! 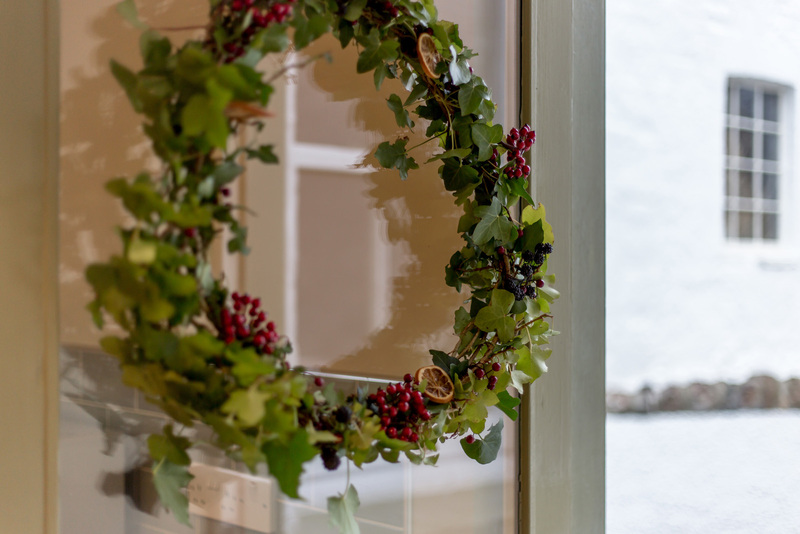 It has a good farm shop for cheeses, meat, smoked fish etc and a great gift shop catering for all ages too – so you can’t fail to pick up a last minute present there. On the A75, just west of Dumfries in a converted farm steading is Kilnford Farm Shop, which sells an excellent selection of Galloway reared meat, hampers, cheeses, fruit and vegetables. They have a great cafe too – so it’s a very pleasant place to stop for a break. It’s about 1.5 hours from here to Corsewall or to Cedar Lodge at Portpatrick. If you are coming to us from the north via the A77, there’s a farm shop just north of Girvan – Dowhill. The shop specialises in a wide range of ready meals and has a butchers shop, which is run by Dalduff Farm Butchers and sells locally produced lamb and beef. They have an impressive gift shop, which does a good line in toys, clothing and food gifts. They also have a restaurant/cafe if you’re looking to take a break. For a refreshing treat, you could drop in at the Crafty Distillery to pick up some award-winning Hills and Harbour gin. It’s located just off the A75, at the Newton Stewart roundabout. Using noble fir needles, bladderwrack seaweed and a mix of local botanicals, the Crafty people there produce a smooth and delicously more-ish gin. So much of Christmas is about food! 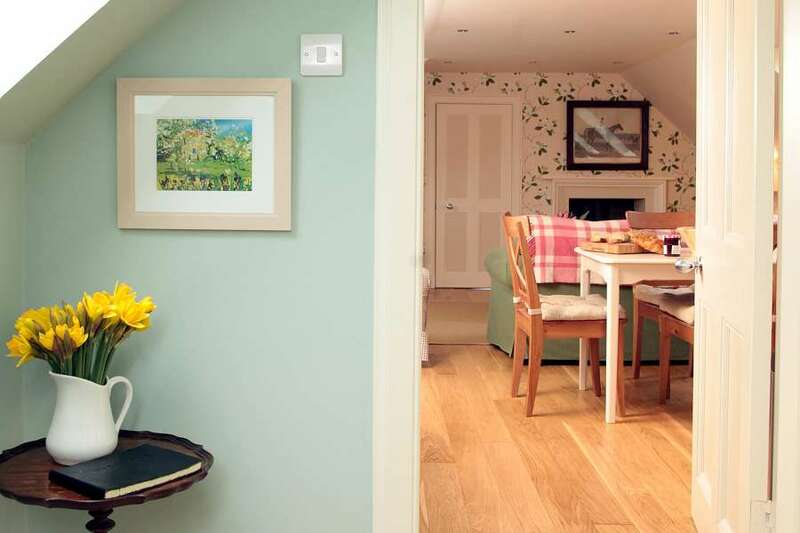 When the eating is done and it’s time for some fresh air, there are many beautiful walks on Corsewall Estate to enjoy – we provide a guide to our walks in each cottage. There are also some pretty coastal walks nearby at Portpatrick, where the Southern Upland Way starts or up the Ayrshire Coastal Path, which starts just north of Cairnryan. Alternatively, you could head for the hills – the Galloway Forest Park is walkers’ paradise, whether you fancy a gentle stroll or tackle the highest mountain in southern Scotland – the Merrick. There are two visitor centres located throughout the park which will be open in December – Kirroughtree and Glentrool. 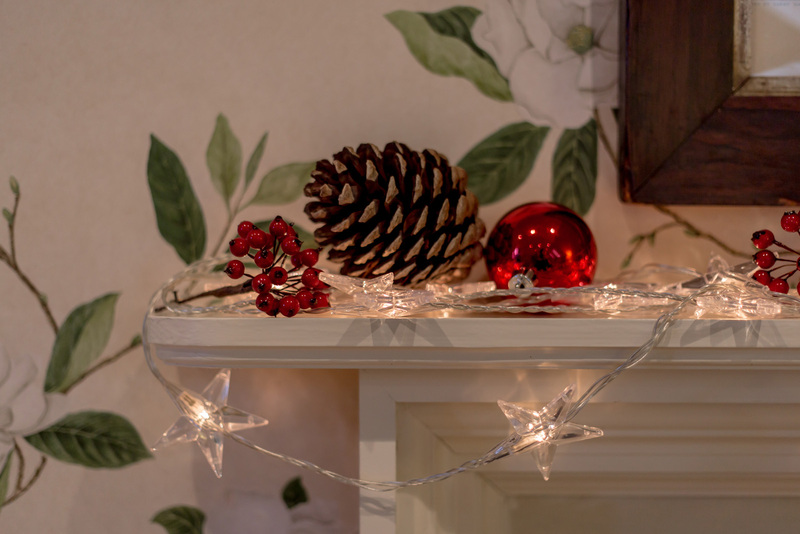 Kirroughtree is open for winter hours during December – 11am-2.30pm during the week and 10am-4pm at weekends and is open on Christmas Eve, but is closed on Christmas Day, Boxing Day and New Year’s Day. Glentrool is open at the weekends in winter from 10.30am – 3pm, but is closed 22, 23, 29 & 30 December, however, it is open from 1-6 January 2019. If you’re looking for a thrill, Laggan Outdoor is the place for you. They are highly professional providers of a number of activities from clay pigeon shooting and archery to reverse-steer jeep and segways. For the more extreme adrenaline junkie, they have one of Europe’s longest zip wires. Unlike many National Trust properties which shut their doors firmly for winter, Dumfries House, near Cumnock in Ayrshire, which was rescued by HRH Prince Charles, is open for tours until 19 December. The Dumfries House Estate is a wonderful location for a fun and relaxing day out for all the family and is open free of charge, and the grounds are open 365 days a year. Previously a dumping ground, the recently restored 5-acre walled garden now has a magnificent mixture of terrace, greenhouses, formal areas and an education garden. This is also open all year round – but it is worth checking opening hours on the website before visiting. Just outside the walled garden, the Arboretum houses an impressive collection of over 500 specimens and a range of shrubs and woodland flowers. There are lots of woodland walks to enjoy around the estate and it’s free to explore the policies. Don’t miss the wonderful Avenue Bridge which connects the house to the walled garden and arboretum – well worth a photo opportunity. The Coach House cafe serves excellent lunches and snacks and is right next door to the amazing children’s adventure playground – children won’t want to leave! The cafe and main house are closed over Christmas and New Year from 23 December and will re-open in January 2017. You might want to consider a day trip to Northern Ireland between Christmas and New Year. The ferry port of Cairnryan is a 20-minute drive from Corsewall Estate/Portpatrick, so a day trip is easily do-able. The Stena Line ferry, which takes 2 hours and 15 minutes, takes you right into Belfast (P&O only goes to Larne). They run up to six sailings a day and often offer deals for foot passengers. Visit the Titanic Museum while you are there and if you want to venture out of town, there are bus tours you can take to the spectacular Giant’s Causeway. For indoor activities, the local leisure centre in Stranraer, the Ryan Centre, has a swimming pool with a flume and two other slides, plus it has a soft play area – Ryan’s Den – for younger children. It is closed on Christmas Day, Boxing Day, New Year’s Day and 2nd January, but otherwise is open every other day over the Christmas holidays. Jumping Jacks in Stranraer is a recently-opened indoor soft play centre, with lots of space for children to climb about and let off steam. If you would like to go to Church of Scotland service, on Christmas Eve, there is an early evening Christingle family service in the neighbouring village of Leswalt and later on there is a Watchman’s service held at the parish church in Kirkcolm. On Christmas Day, the High Kirk of Stranraer on Leswalt High Road is a very welcoming option. For Catholics, St Joseph’s on Lewis Street in Stranraer has a number of services. 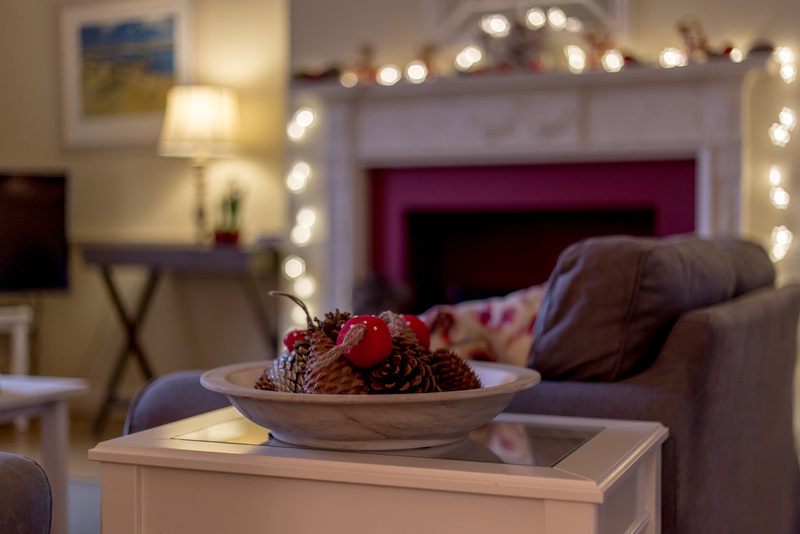 All of our luxury self-catering cottages in Dumfries and Galloway come with well-equipped kitchens, but we know that everyone deserves at least one night off, especially at Christmas time. Campbell’s Restaurant, which is right on the waterfront, overlooking the village’s picturesque harbour in Portpatrick, is our clear favourite. It serves excellent locally sourced meat, seafood and fish dishes. 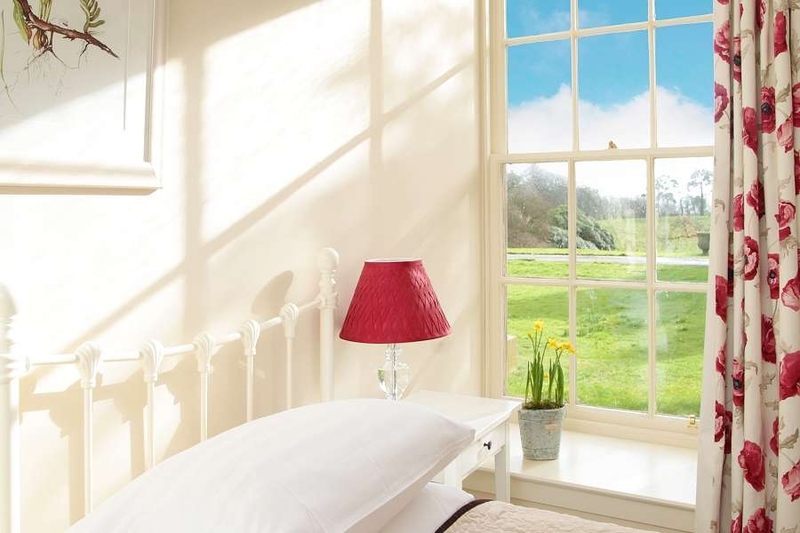 It’s extremely popular with locals and visitors all year round, so booking well in advance is a must. It has a special five-course Christmas menu throughout December up until Christmas Eve. Campbell’s is open six days a week from Tuesday to Sunday for lunch and dinner and will be closed on Christmas and New Year’s Day. We’d highly recommend the Old Colfin Creamery, three miles outside Portpatrick, which is open for dinner on Friday and Saturday nights and during the day for coffee and delicious cake, lunch and afternoon tea from Wednesday-Sunday. It’s definitely worth booking a table here well in advance. 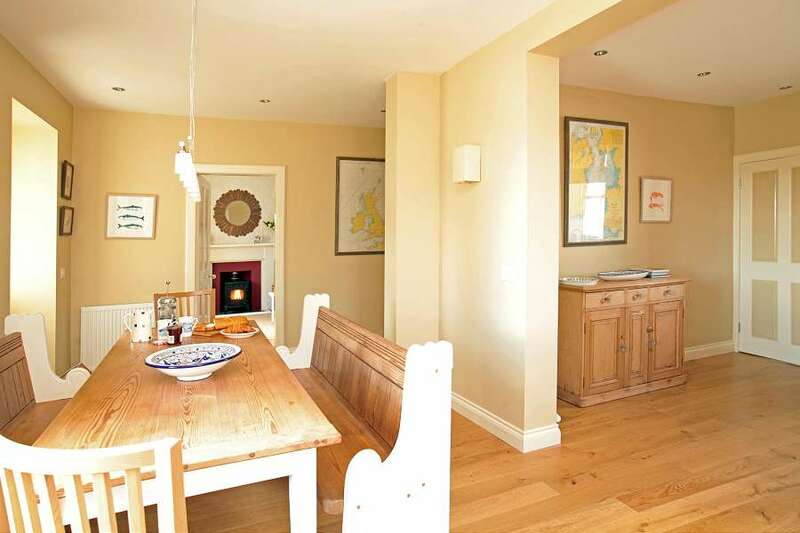 Henry’s Bay House on Cairynryan Road in Stranraer is right at the head of Loch Ryan and has wonderful views over the loch towards Corsewall Estate in the distance! It’s owned and managed by local chef/restaurateur John Henry and his wife, Jane, who runs front of house. Open for lunches and in the evening, the restaurant serves fresh locally sourced meat, fish and shellfish from Loch Ryan oysters to Galloway smoked Salmon. The Tigh na Mara Hotel in Sandhead is another excellent family run restaurant. The restaurant and bar are open for lunch and dinner throughout the festive period but closed on Boxing Day and New Year’s Day. It’s worth booking in advance as I suspect it will be popular. The award-winning Knockinaam Lodge, near Portpatrick is 20 minutes’ drive from Corsewall Estate Holiday Cottages. If you ignore the verbose drivel on their website and despite the fact it has recently lost its Michelin Star, it really is still a cut above the rest, with fantastic food and an amazing position on the shore looking out across the Irish Sea. The hotel is open over the Christmas and New Year period but it’s important to phone in advance to book a table. 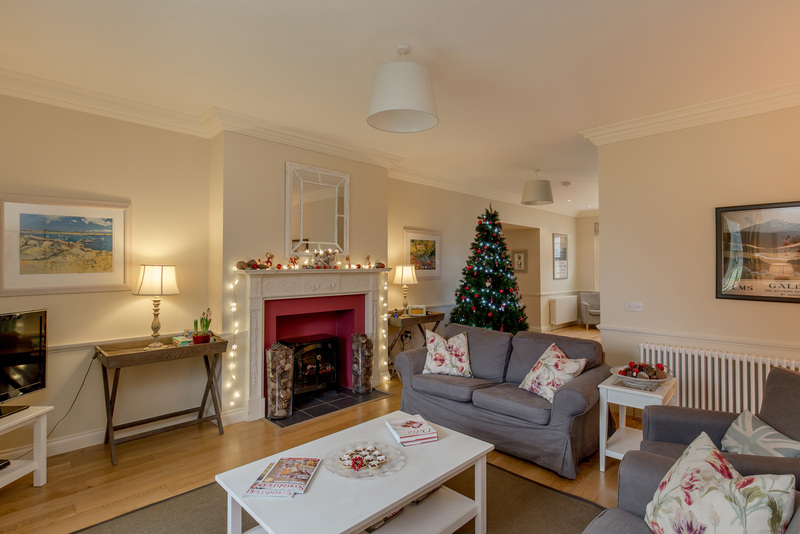 Due to a cancellation, we currently have availability for Christmas at our 4* Cedar Lodge in Portpatrick, which has four bedrooms, all en suite, sleeps 8 and has beautiful sea views. 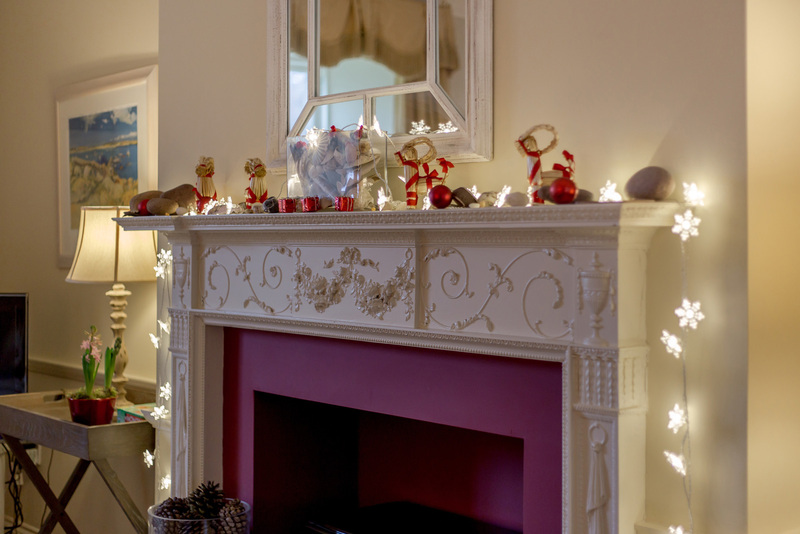 The rate for the Christmas week from 21-28 December is £1,225.00. 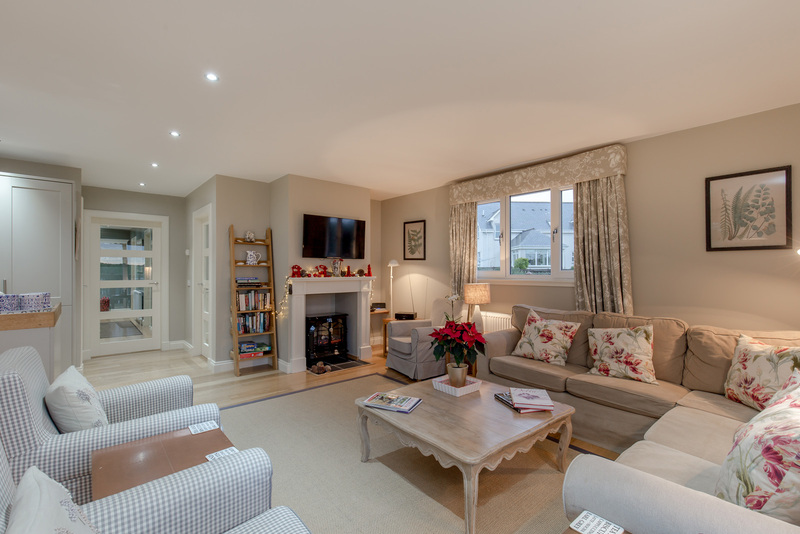 For Hogmanay, Stables Cottage, which sleeps 4 and has a wonderfully warming log burner in the sitting room, is available at a rate of £650 from 28 December to 4 January. Dogs are very welcome at all of our cottages and there are lots of pretty walks for them to enjoy around the estate and down to the sea. 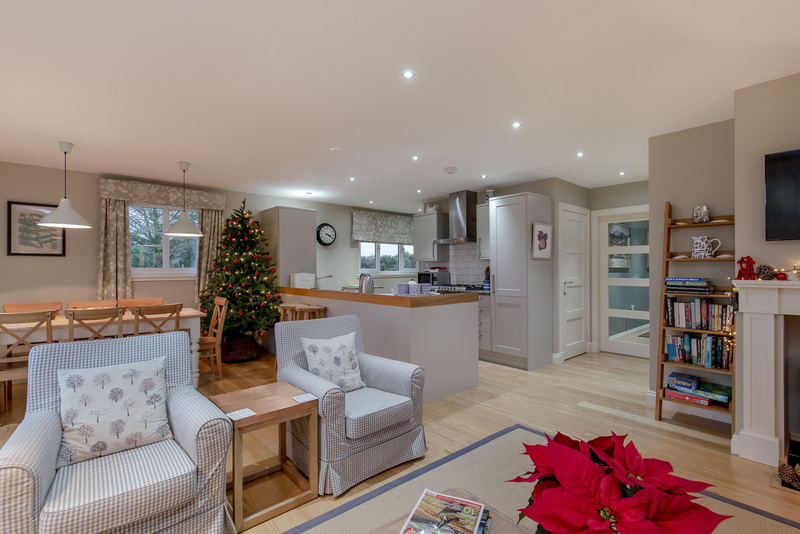 You can make an enquiry about our 4 star Galloway holiday cottages for Christmas and New Year, check availability or book online on the website here.